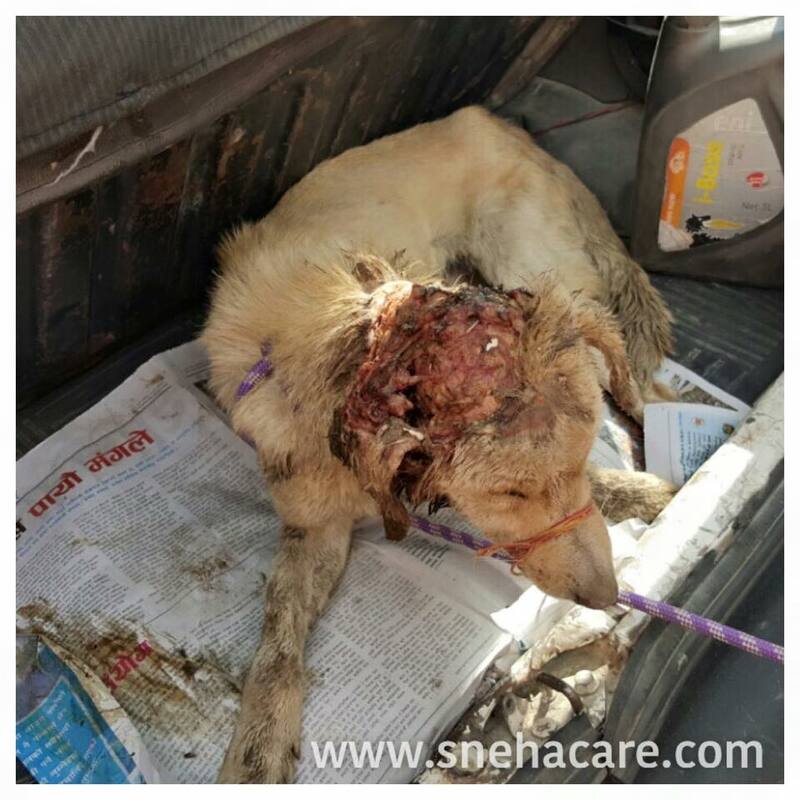 My name is Creamy – I was hit by a person near Bir Hospital and had wound. My wound went bigger and bigger everyday because of Maggots. 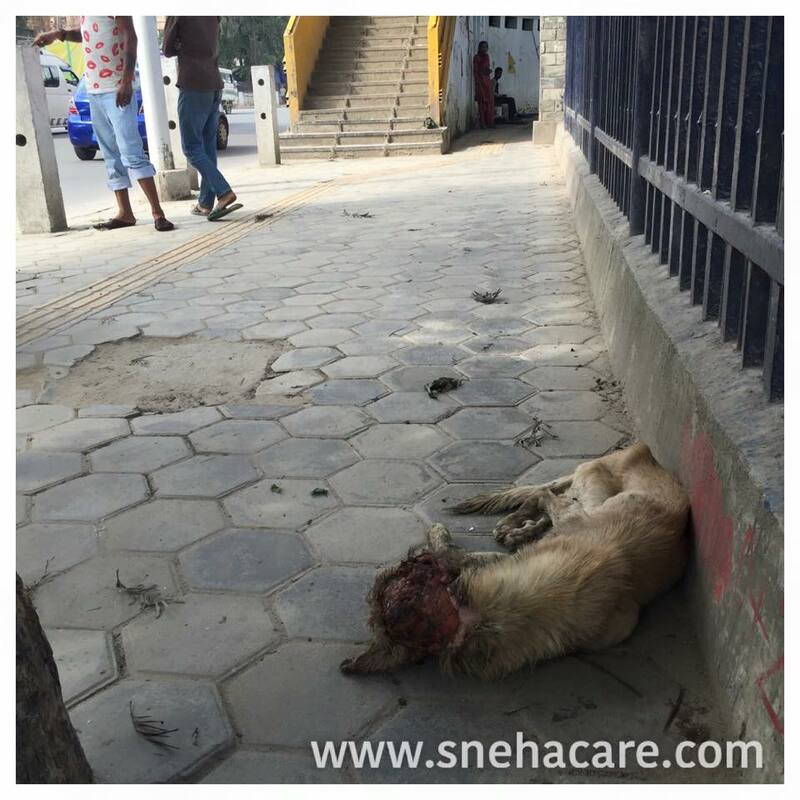 How could i prevent maggots coming to my wound, i had no choice instead of seeking help from people walking by the footpath. Day by day i started smelling like anything and day by day i was looking for someone who could help me. 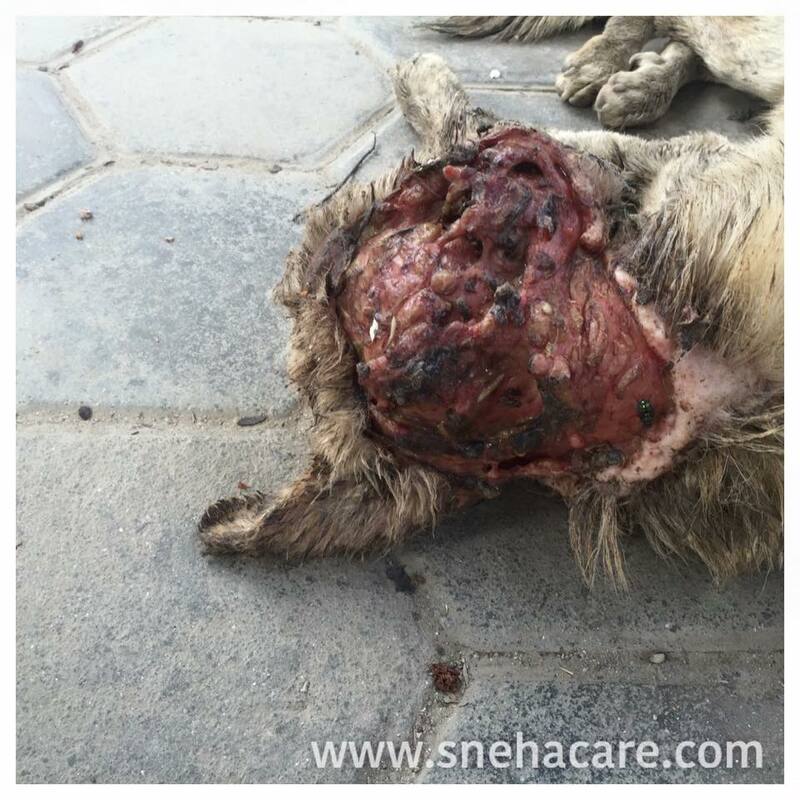 I thought of walking around to find a good hearted person to take me to vet for treatment and used to go near temples but none took me to vet, instead they used to throw stone at me as i was smelling very bad. People started to hate me more. I gave up myself and with hunger lied on the footpath opposite of Kathmandu Mall leaving myself to die since last week. But today Sneha Mom came to me and took me to a place where i was treated very well. I now feel that i will survive from the diseases and i will heal soon. 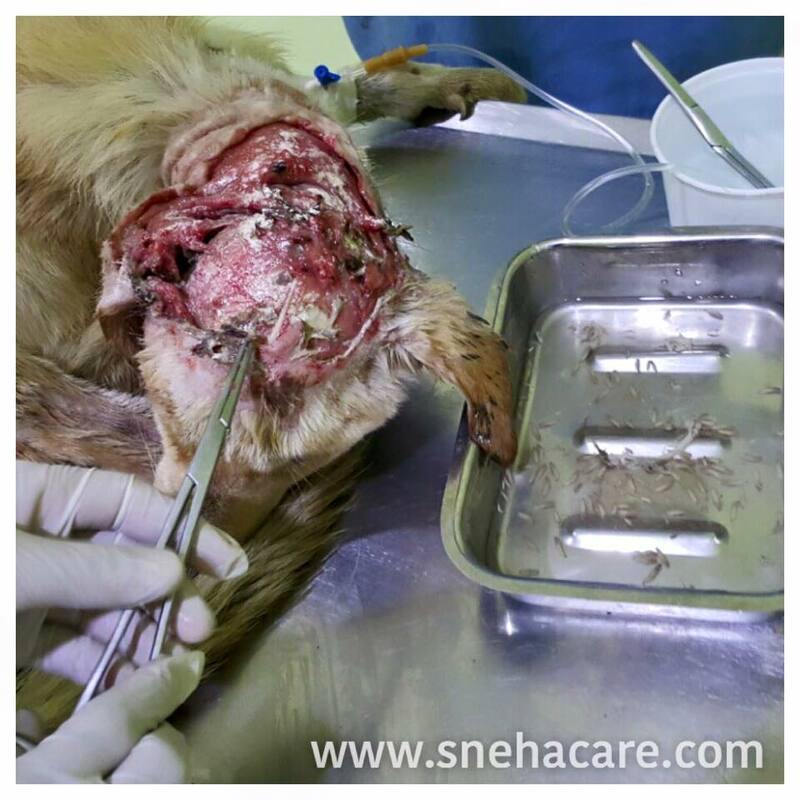 I heard what doctor was telling Sneha Mom; My blood level is very low, critically dehydrated, Tested Ecanis positive and so many maggots. 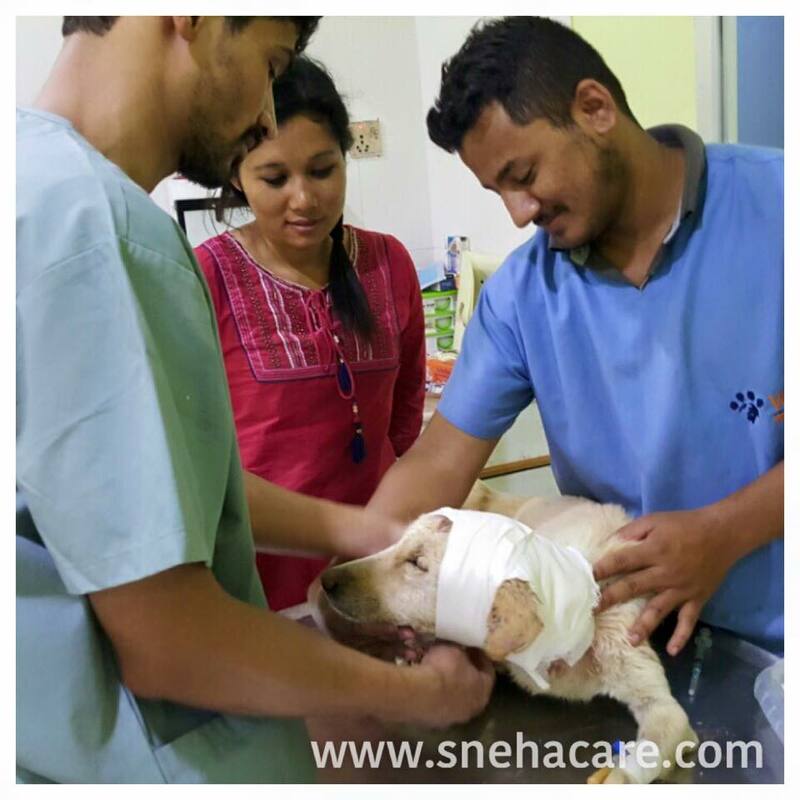 I hope, i will get well soon and thanks to Sneha mom for bringing me to the vet and taking care of me. I also would like to thanks Mr. James for informing Sneha Mom about my pain and the location.